I love Halloween. It is my favorite holiday. I love candy, I love costumes, I love the cool autumn air and I love how it's just the beginning of the rest of the holiday season. I am a sucker for celebrating things. I have been eyeing these cupcake liners that look like cobwebs forever...and nothing beats a recipe on my RSS feed that is low-fat and includes pumpkin candy corn. Preheat oven to 350 degrees F and line a baking pan with parchment paper. 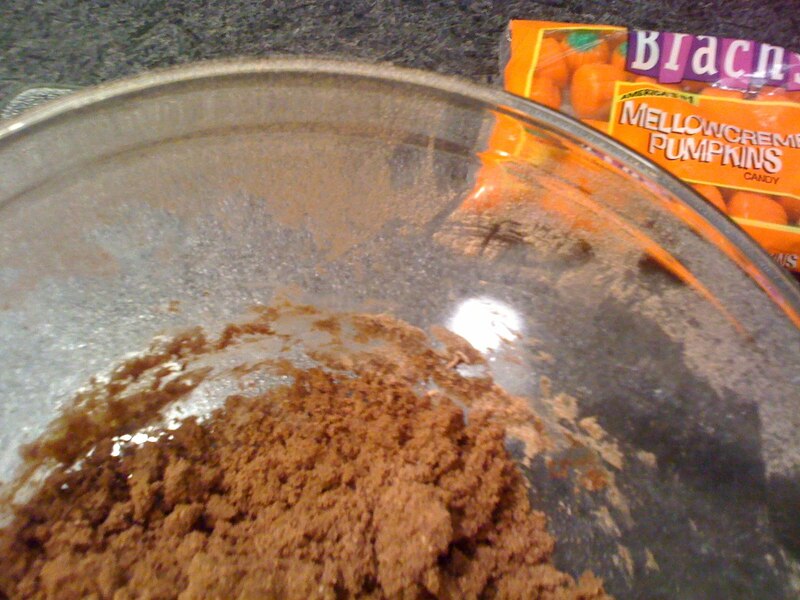 Mix all the ingredients except the pumpkins in a bowl with your hands. Really well. Form little balls (about 15-16) with the dough. Using your thumb, press a small indent in the middle of each ball and place on baking sheet. Bake for 10 minutes. 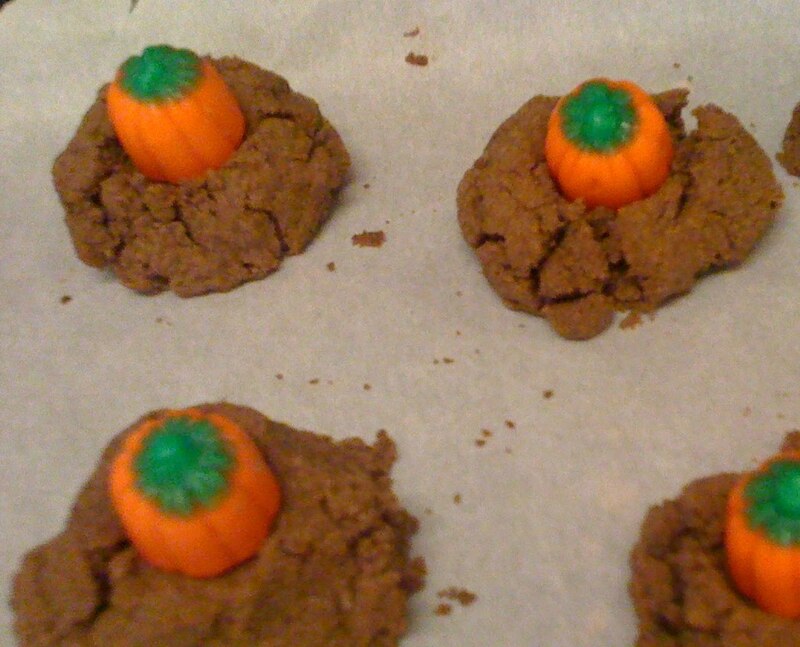 Immediately take out of oven and put candy pumpkins on top. Cute, but Halloween is supposed to be scary... If you use black and white colors, they would look like eyeballs! Bwah hah hah!